In situ measurements of the vertical structure of ozone were made in Changchun (43.53°N, 125.13°E), China, by the Institute of Atmosphere Physics, in the summers of 2010–13. Analysis of the 89 validated ozone profiles shows the variation of ozone concentration in the upper troposphere and lower stratosphere (UTLS) caused by cut-off lows (COLs) over Changchun. During the COL events, an increase of the ozone concentration and a lower height of the tropopause are observed. Backward simulations with a trajectory model show that the ozone-rich airmass brought by the COL is from Siberia. A case study proves that stratosphere–troposphere exchange (STE) occurs in the COL. The ozone-rich air mass transported from the stratosphere to the troposphere first becomes unstable, then loses its high ozone concentration. This process usually happens during the decay stage of COLs. In order to understand the influence of COLs on the ozone in the UTLS, statistical analysis of the ozone profiles within COLs, and other profiles, are employed. 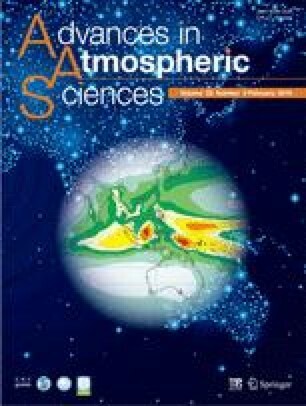 The results indicate that the ozone concentrations of the in-COL profiles are significantly higher than those of the other profiles between ±4 km around the tropopause. The COLs induce an increase in UTLS column ozone by 32% on average. Meanwhile, the COLs depress the lapse-rate tropopause (LRT)/dynamical tropopause height by 1.4/1.7 km and cause the atmosphere above the tropopause to be less stable. The influence of COLs is durable because the increased ozone concentration lasts at least one day after the COL has passed over Changchun. Furthermore, the relative coefficient between LRT height and lower stratosphere (LS) column ozone is -0.62, which implies a positive correlation between COL strength and LS ozone concentration.